3 Things For Youth: You Matter. You Are Important. You Belong. Who is Pytor and Why Should He Be At Your Event? Pytor has been active in supporting sexually exploited and trafficked children and youth, youth in/from care and custody, street involved youth and Indigenous children and youth since his teenaged years. Rooted in a respectful approach that recognizes traditional ways Pytor has been able to collaborate and work with more than 50 First Nation communities in Canada. Based on his own lived experiences as an Anishinaabe who walks the Red Road, Pytor continues to work to provide a meaningful opportunity for people to build the skills and capacity that will complement their natural assets in addressing issues facing themselves or their communities. At 17, inspired by his own lived experiences, Pytor helped found the Ottawa-Carleton Homeless Coalition, a street shelter for other homeless youth. Over 6 months Pytor camped out on the sidewalk of Parliament Hill in Ottawa overseeing 7 tents that housed over 350 homeless youth throughout their stay. Each day he coordinated the feeding lines, which provided hot meals to over 150 homeless people each day. It was at this time and through this experience that Pytor learned the power of youth voice and most importantly, found his. 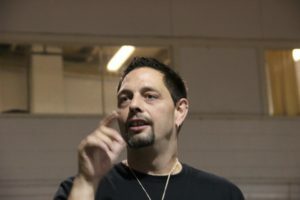 By 19, Pytor completed a national speaking tour talking about his experiences on Parliament Hill as well as poverty, discrimination and addiction. 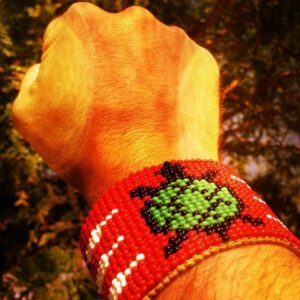 He worked for several international environmental and social justice organizations that allowed him to travel across Canada, settling in Calgary by 20 years old. He began working as a live-in peer counsellor with the Alberta Safe House Society, a shelter styled program supporting youth living in governments care. After two years with the Society, Pytor became the Executive Director of the Alberta Youth In Care Network, a youth run and directed non profit in Calgary that provides a voice for youth living within government systems. Within three years the Network had grown by over 400%. Managing eight projects a year, hiring over 30 youth in/from care, increasing youth volunteers to over 100, and providing front line support to over 300 youth a year allowed the Network to become a strong force not only locally, but provincially, nationally and internationally. Pytor ensured those children and youth in care, custody and on the street have fair and appropriate representation and that they are involved in decisions that would affect their lives. At this time Pytor became a board member and eventually President of the National Youth in Care Network, representing the interests and voice of Canada’s more than 60,000 children in care. Following the authoring of ‘Right It Down’, a commissioned book on children’s rights for youth in care and another speaking tour, Pytor formed his first company, CANVOI International, a sole proprietor consulting company. In that role and for the next 14 years CANVOI had a variety of government and NGO clients, including Solicitor General Canada, The National Crime Prevention Centre’s (NCPC), The Department of Justice Canada (with a focus on youth engagement in the development of the Youth Criminal Justice Act and youth gang prevention) along with Save the Children Canada as a senior advisor. Pytor was also a senior managing consultant with the Students Commission of Canada and the Centre of Excellence for Youth Engagement. In his time with these organizations Pytor supported the management of dozens of national and regional events, developed and executed youth programing across Canada on issues related to engagement, gender, violence, racism and oppression and youth voice and decision making. Pytor closed CANVOI International in 2012 launching Three Things Consulting in 2013. As the CEO of Three Things Consulting, he continues to help organizations and governments create processes, programs and opportunities for young people and community engagement, research and innovative evaluation. Three Things inspires youth and their influencers to make their lives healthier and their communities stronger, with a deep understanding that they matter, they are important, and they belong. Sharing the values of Three Things with young people and their influencers helps creates a resilient nation of youth who are secure in their roles with family, school and community. These young people will have a vision of a world that is better for all, and be active contributors to its development. Three Things clients have included national and international First Nations, Indigenous organizations and political bodies, NGO’s, youth serving organizations, governments and charitable foundations. Pytor has extensive experience working in partnership with First Nation, Métis and Inuit children, youth and communities. In his role with the Students Commission of Canada, Pytor supported the development of a First Nations Youth Engagement Strategy for the Chiefs of Ontario, consulting with Indigenous youth and young adults in urban centres and First Nations across Ontario. He has supported the development of youth programming and employment opportunities for youth in First Nation communities across Canada and completed a speaking tour during in First Nation communities during Aboriginal Awareness Week 2011. Rooted in a respectful approach that recognizes traditional ways Pytor has been able to collaborate and work with more than 50 First Nation communities in Canada. Based on his own lived experiences as a First Nation person, Pytor continues to work to provide a meaningful opportunity for First Nation people to build the skills and capacity that will complement their natural assets in addressing issues facing their communities. This commitment to youth and youth helping youth initiatives has made Pytor a sought out commentator on the issues that are facing young people in North America. Pytor was the Co-Chair of the Youth Engagement Working Group for the North South Partnership, connecting youth in Ontario’s Northern First Nation communities and providing them support to use their voices and share their ideas, expertise and experience with adults in southern Ontario who want to support them, President of the National Youth In Care Network and an executive of Youth Justice Education Partnership. Pytor was also a founding Board Member of Northern Starfish, supporting its founder, then, 13-year-old Wes Prankard in his mission to build playgrounds in partnership with northern First Nations. In 2013 Pytor was appointed to the Task Force on Trafficking of Women and Girls in Canada: An Initiative of Canadian Women’s Foundation and the Premiers Council on Youth Opportunities by the Honourable David C. Onley, the Lieutenant Governor of Ontario. 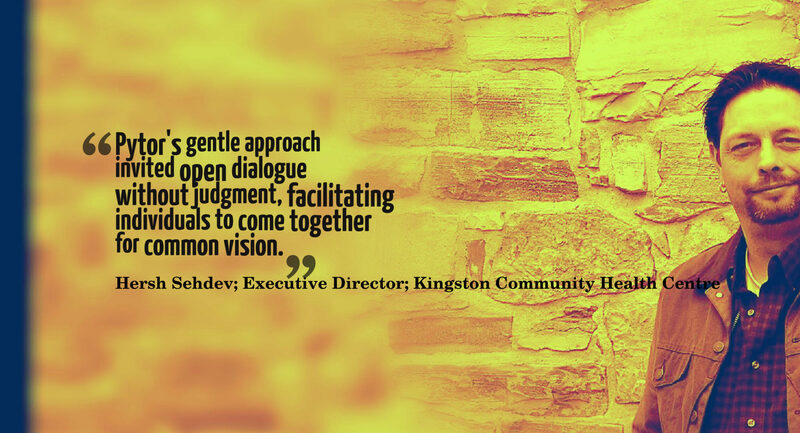 In 2015 the Mayor and Council in Kingston, Ontario, appointed Pytor to the Board of Directors for Kingston Frontenac Housing Corporation and in 2016 Pytor was humbled to be one of twelve national Indigenous leaders appointed to the RCMP Circle of Change, a group called upon to provide advice and assist the RCMP in enhancing existing initiatives and in identifying policing gaps in service to Indigenous women, families and communities as part of the RCMP commitment to addressing the high rates of missing and murdered Indigenous women. He has sat on a number of federal governments advisory committees, addressed Senate Committees on various topics related to gender, gender based violence, health and well-being and continues to be requested to share his insights with government, systems and organizations. He has acted as an advisor and consulted to many other government and non profit organizations and is called on by the media to speak to issues that face this group. Pytor has spoken in over 1000 settings including workshops, panels, plenary and keynote sessions to local, national and international audiences. As well Pytor has been highlighted over 350 times by the media, including local newspapers and television stations, CTV national news, CBC television, Global television, over 50 CBC radio stations in Canada, CBC Newsworld and Midday, the BBC, magazines and several documentaries. Pytor’s message, whether for youth or adults is one that is filled with hope and a reminder that anything is possible. 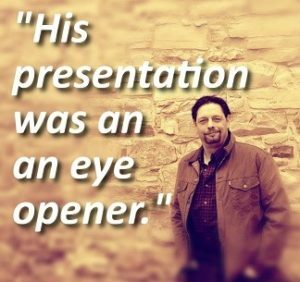 Funny, engaging and a skilled communicator, Pytor is an excellent choice for your special event. His gift is being able to develop a relationship with everyone in your audience. Able to speak on various youth and community related issues, Pytor will captivate your audience, motivate them to look at life differently, inspire them to create change, and share with them the tools to do so. For more information about some of Pytor’s Keynote Presentations see above or contact Pytor directly.